When a ray of light passes from one clear material to another (say, from air to glass or air to water), it bends at the boundary and follows a different direction. 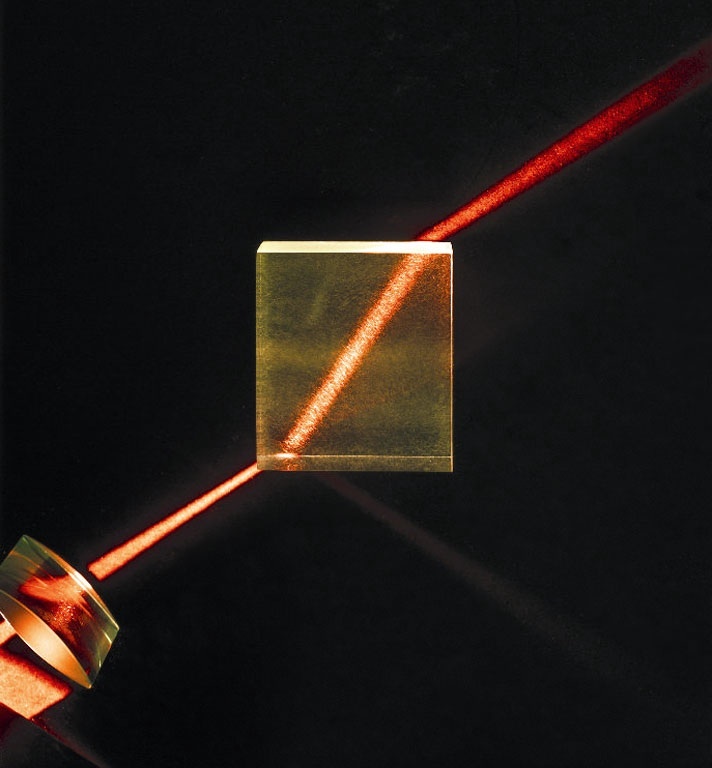 This phenomenon, called refraction , can be seen in Figure 4, where a beam of light traveling through air bends as it enters and exits a glass slab. Refraction is a common occurrence in nature. Without refraction there would not be beautiful rainbows, shimmering mirages or many other spectacular natural phenomena. Another effect of refraction you may have noticed is that swimming pools appear to be shallower than they actually are and their floors look distorted. Our eyes as well as cameras rely on refraction to capture images. So let’s take a closer look at how refraction works. n1 × sin(θ1) = n2 × sin(θ2). It is remarkable that this simple equation guides the design of virtually all optical devices, from your reading glasses to camera lenses to powerful telescopes and microscopes. Use the demo in Figure 6 to check out the bending powers of several common materials. 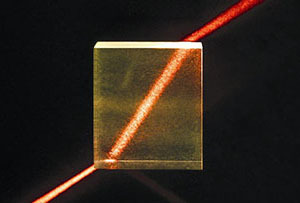 "Light Refraction," [Online image]. Available: http://www.santilli-foundation.org/images/Light-refraction.jpg. [Accessed: Oct 4, 2009]. 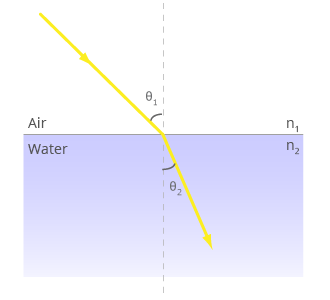 "Refraction," Wikipedia, The Free Encyclopedia. Oct 2, 2009. [Online]. Available: http://en.wikipedia.org/wiki/Refraction. [Accessed: Oct 4, 2009]. "Refractive index," Wikipedia, The Free Encyclopedia. Oct 2, 2009. [Online]. Available: http://en.wikipedia.org/wiki/Refractive_index. [Accessed: Oct 4, 2009]. "Snell's Law," Wikipedia, The Free Encyclopedia. Oct 2, 2009. [Online]. Available: http://en.wikipedia.org/wiki/Snell's_law. [Accessed: Oct 4, 2009].